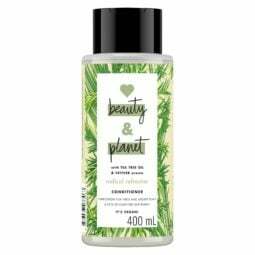 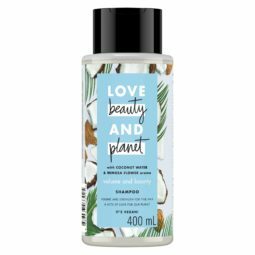 Love Beauty and Planet Coconut Water & Mimosa Flower Volume and Bounty Conditioner detangles and provides body and strength for fine hair. 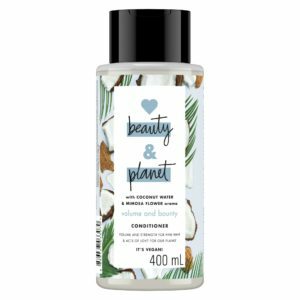 Infused with Organic Coconut Water, this volume shampoo for fine hair energizes with a burst of delicate mimosa flowers. 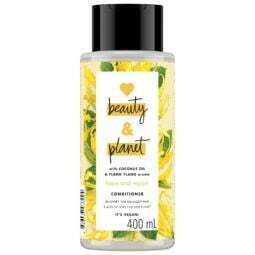 This conditioner lightly moisturizes while giving your hair volume and strength. 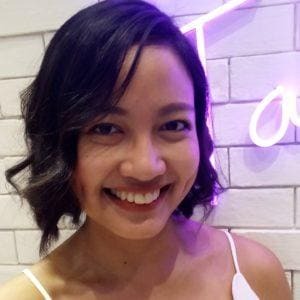 If you have thin hair, volumizing hair products and some easy hair hacks can help you get thicker looking hair.